From the left side menu, click on the Settings option. From under Retention Settings section, set the desired settings for the retention → Click the Save Settings button. Those specified settings will be applied to the backup of all the users you have under this BigMIND account. If you want to apply the Retention for only certain folder, then click the Add Retention button under the Retention Settings (Advanced) → Select the user, the machine and specify the folder’s path → Specify the preferred retention settings → OK → Click the Save Settings button. 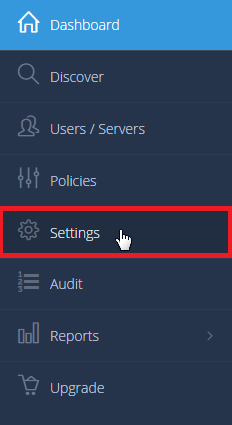 These settings will be applied to all the users added under your BigMIND account. Refer to the Settings tab. From under Retention tab, set the desired settings for the retention → Click the Save button. 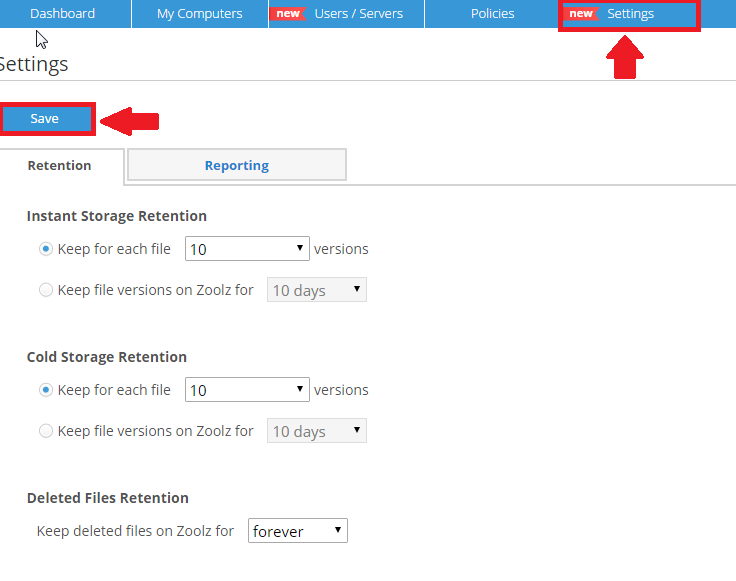 These settings will be applied to all the users added under your Zoolz Business account. Zoolz/BigMIND Home users cannot control how many old versions they want to keep in there back up. The versions of the files are purged automatically as Zoolz/BigMIND Home will keep only the last 10 versions of each file. For more about how to restore/view older versions of your files, please click here. Also, the deleted files will be saved under you Zoolz/BigMIND Home account forever, unless you manually delete them.